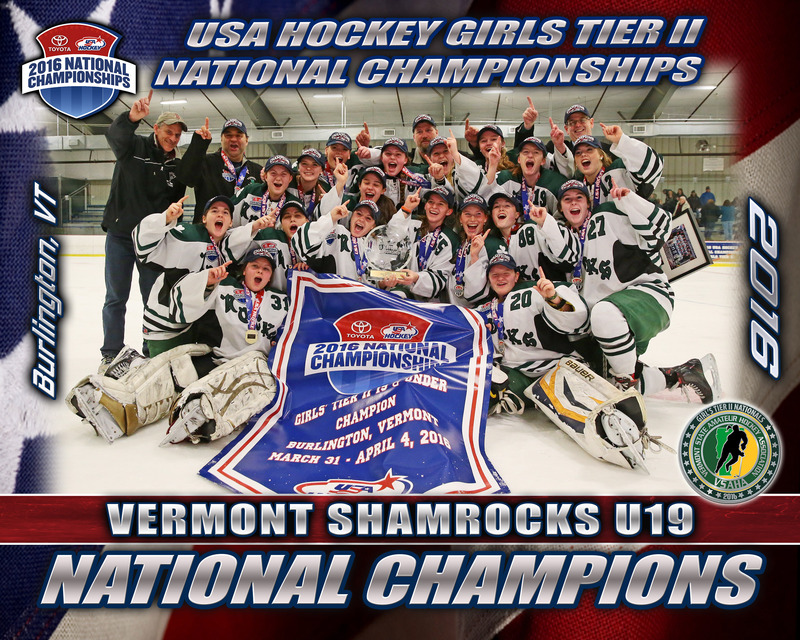 The Vermont Shamrocks bring together some of the most competitive hockey players from all across Vermont and neighboring states. 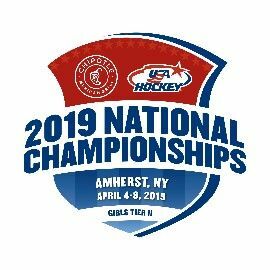 The goal is to provide a high level of hockey while promoting participation at the local level. The emphasis is on skill development and teamwork by fostering a spirit of cooperation and unity, as well as individual self-growth. We create a fun environment which focuses on important values such as sportsmanship, friendship, and love of the game. The lesson at the end of the day is that succeeding is really more about how they play the game – win or lose. 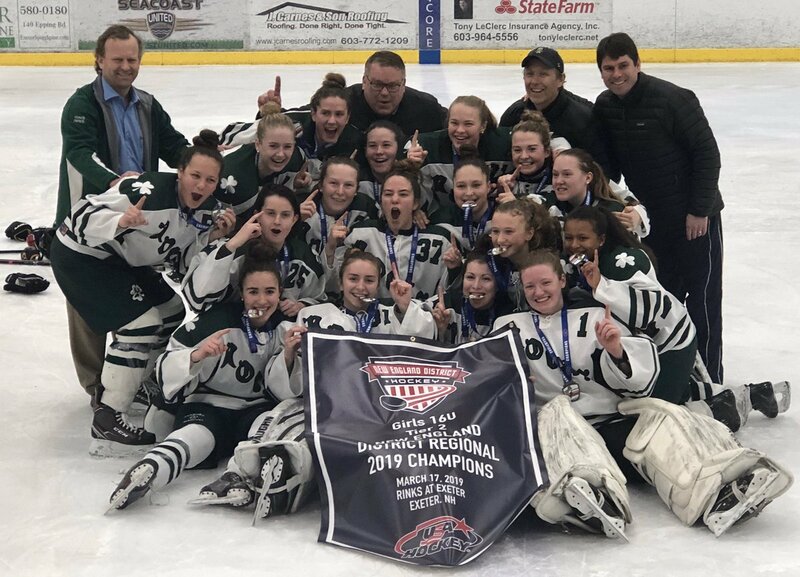 SHAMROCKS 16's ARE 2019 NATIONAL CHAMPIONS! 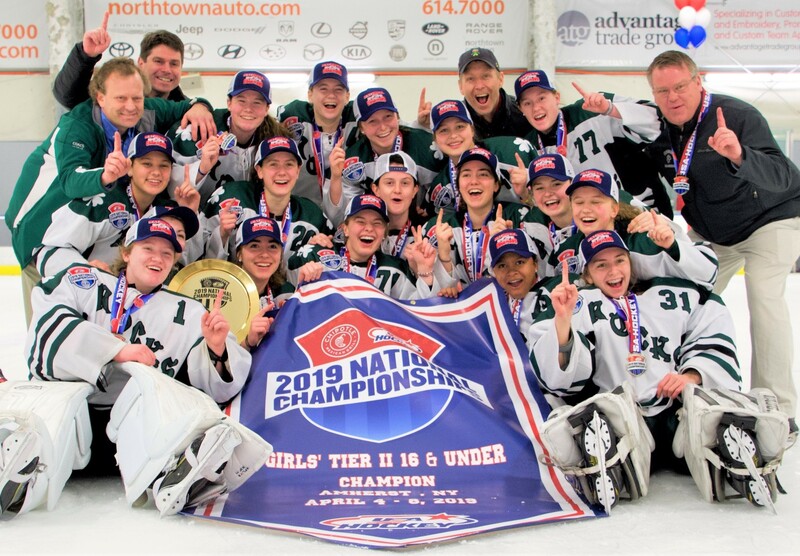 Buffalo, NY -- The 16UAA Shamrocks defeated the Baldwin/River Falls BlackCats 5-0 to win the 2019 USA Hockey National Championship! More details about the game and this special team coming soon! 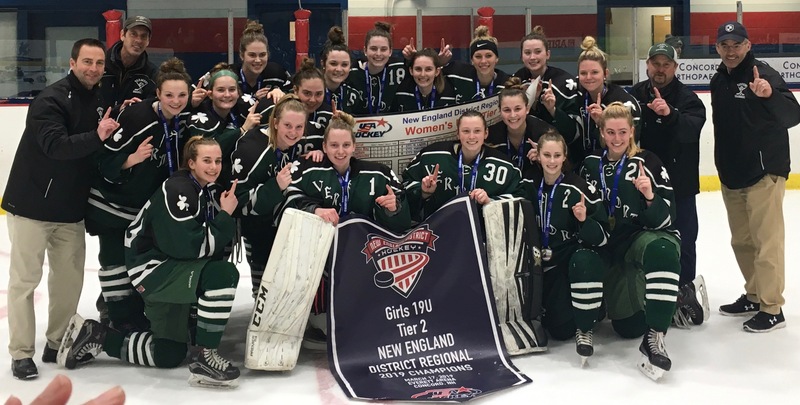 Tryouts are for the Fall/Split-season 16U and 19U National Bound teams and for the Summer Showcase teams that will attend the Beantown Classic July 26-28. Players may select to try out for both, or just one independently. 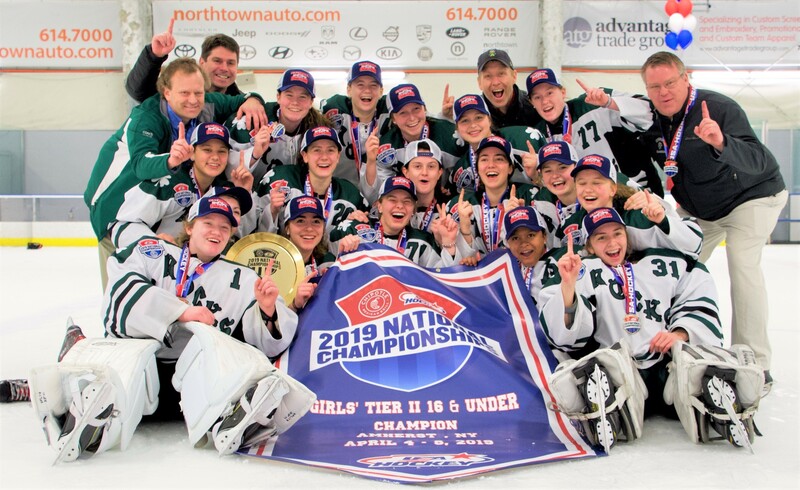 2005 players who are not playing on another 14U team, and only playing high school hockey, may be eligible to tryout. Please contact the Shamrocks if interested. Players should plan to attend both tryouts skates. If you have a major conflict it does not preclude a player from being considered, but please let us know in advance. The Shamrocks started graduating student-athletes from our split season teams with the class of '12. Here is the list of places our players ended up playing athletics. For more information click here. Elmira, Penn State, Stevenson University*, Castleton State College*, Middlebury College*, Cortland State (NY)*, Franklin Pierce University, Chatham University, Norwich University, SUNY Potsdam, Sacred Heart University, Becker College*, Hobart/William Smith*, Boston College, St. Michael's College, New England College*, Plymouth State University, SUNY Canton, The University of New England*, Colby College*, Robert Morris, Southern Maine, Utica College, Trinity (CT) College^, Nazareth College^, Connecticut College. University of Vermont*, UMass-Amherst, Syracuse University, Lindenwood-Belleville, Columbia University, Grand Valley State University, Univ. of Minnesota-Duluth, Univ. of Rhode Island. Thank you to all sponsors!